Plans for a new supermarket and cafe which would transform Sutton Coldfield town centre are set for approval despite concerns over links to the existing town centre shops. The development of waste ground at Brassington Avenue, on the edge of the town centre shopping area, may finally begin more than a decade after proposals were first discussed. But local businesses, councillors and residents are unhappy that there will be no attempt to form direct pedestrian links to the Mall Shopping Centre and fear that the store could cause traffic safety problems on the busy Sutton Coldfield ring road. The Sutton Coldfield BID traders group has commented that the supermarket and cafe seem separate and will not generate extra trade or visitors for the remaining town centre. Chairman of the BID Mike Bushell said: “We are not calling for the plan to be refused, but we are disappointed with it. We wanted to see something much more ambitious on this site. This just does not seem that impressive. Coun Philip Parkin (Cons, Sutton Trinity) added: “On the one hand I am pleased that some development is taking place, but on the other wanted something better than this. Objectors have called for a formal link, such as a pedestrian bridge or better crossing, to tie the site to the town centre, but the developer claims this is again too costly, possibily as much as £1 million for a link bridge to the Mall Shopping Centre, and is willing only to fund a pedestrian crossing near the Park Road junction. Developers have made several attempts over the last ten years to build on the strip of land between the railway line and ring road but these were all hit by rising costs or the economic downturn. 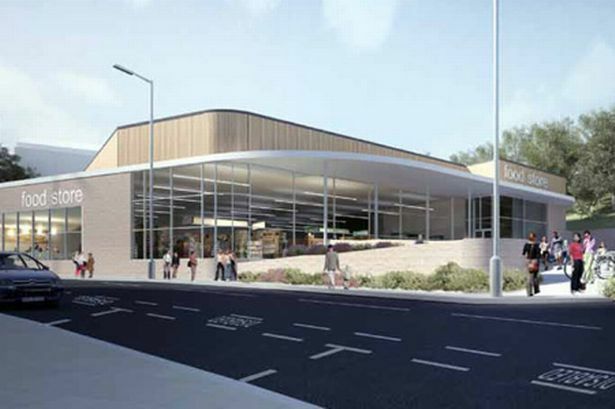 Planning officers have recommended the supermarket and cafe be approved at the next city planning committee meeting on June 7.